The R.W. 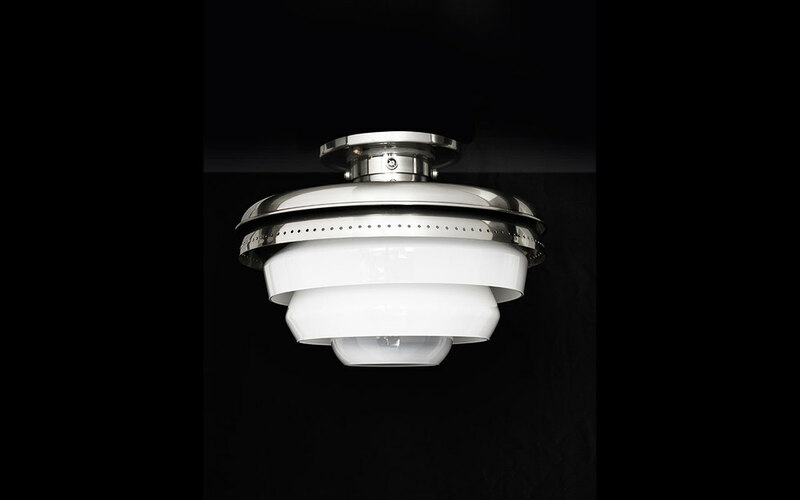 Atlas Lighting Collection pays homage to a classic utilitarian aesthetic with the heritage of American craftsmanship in mind; solid, defined by genuine tactility and meticulous details. 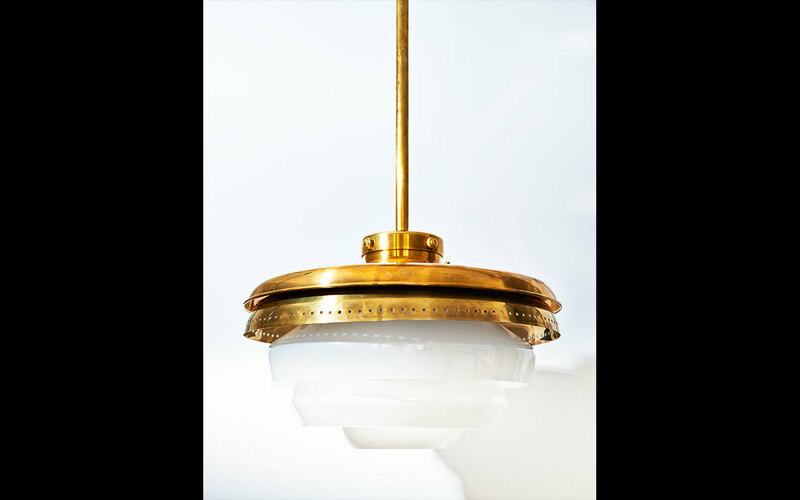 The Spunflower Collection consists of a flush-mount pendant and a stemmed pendant and is distinguished by a unique combination of shapes and materials. 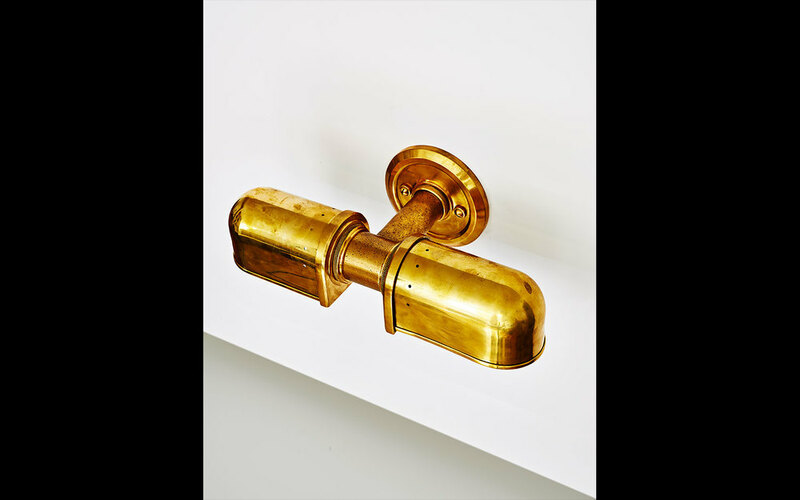 Roman and Williams created custom finishes of burnished brass or burnished nickel, with intricate knurling and careful tooling at the points of connection. 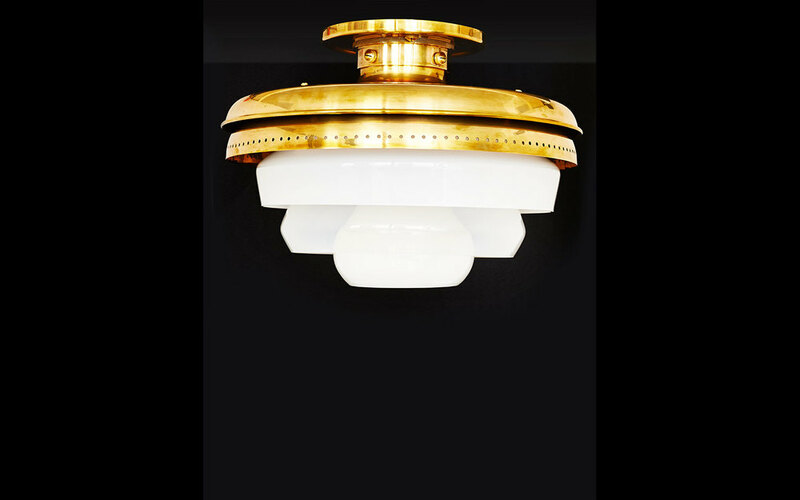 The metal portions have muscular details and are a strong counterpoint when paired with a series of delicate hand blown shades, creating a soft glow. 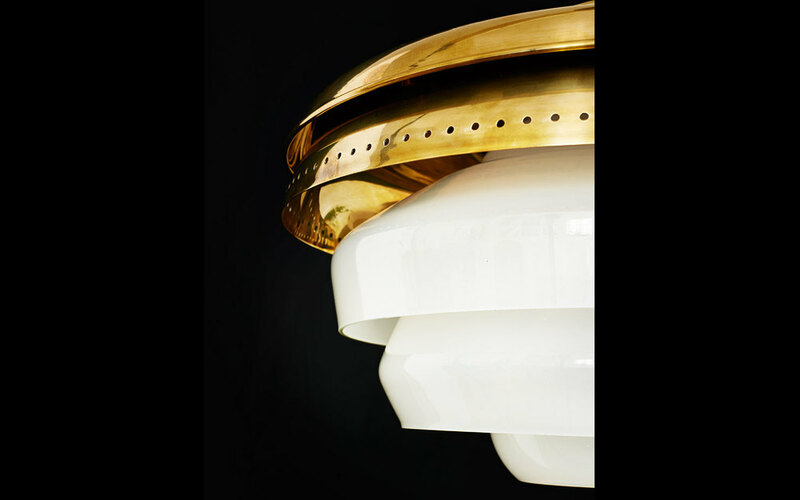 The gradient shades grow progressively more transparent as they descend, radiating the eloquence of poetry and craftsmanship in balance.